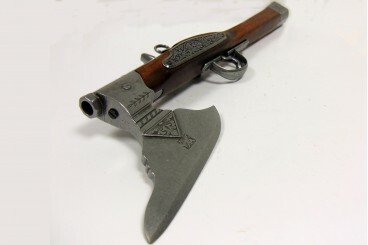 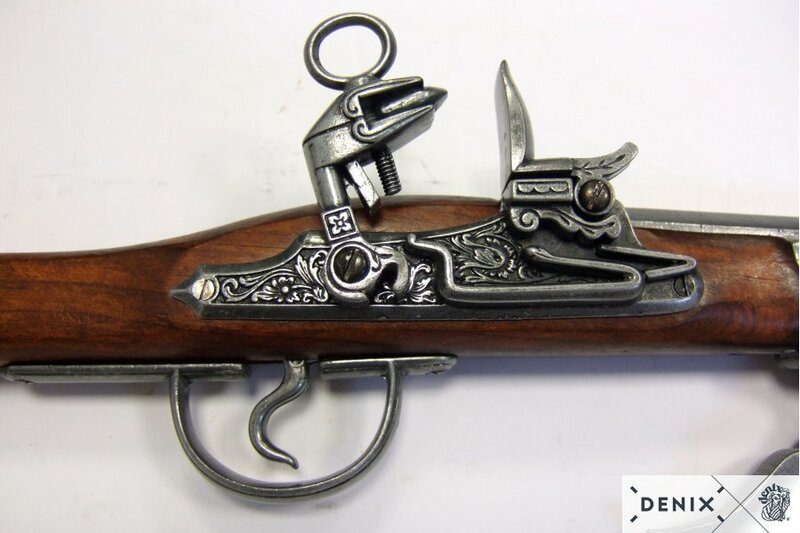 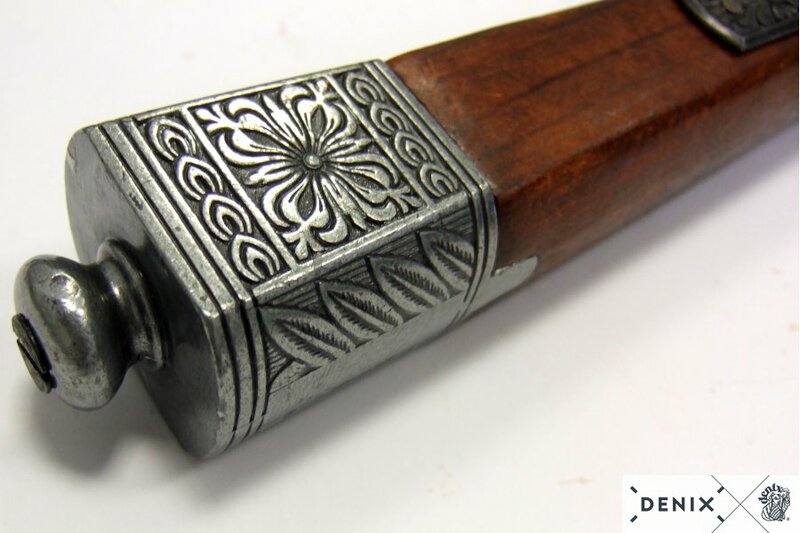 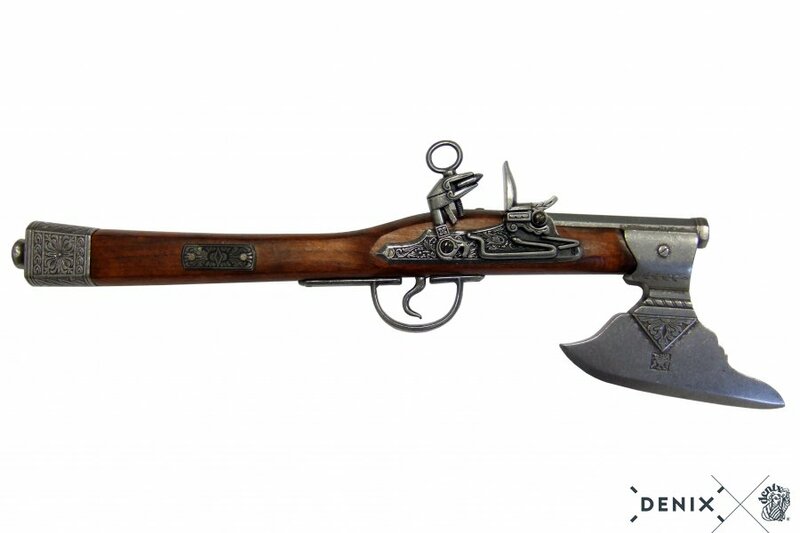 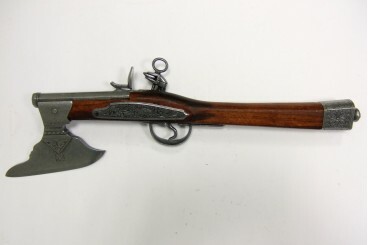 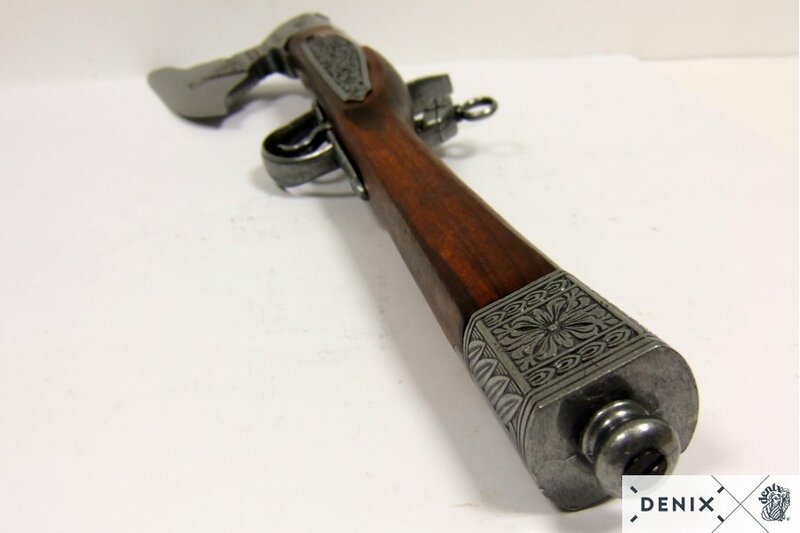 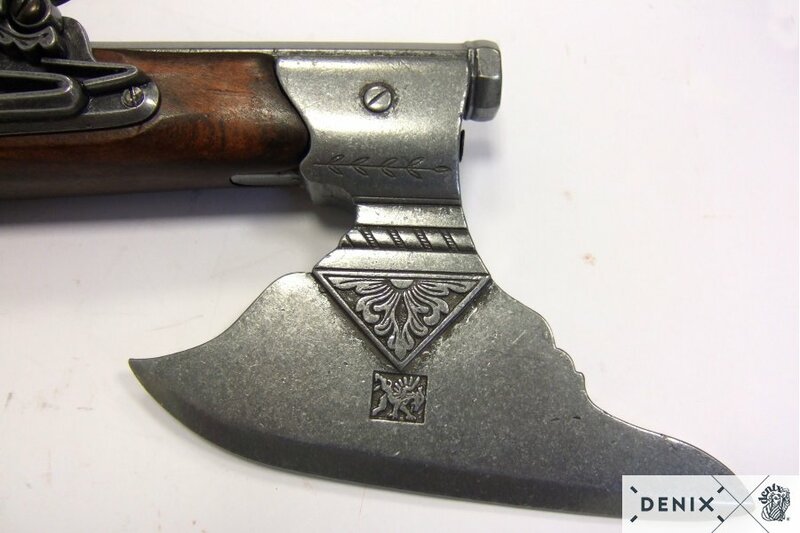 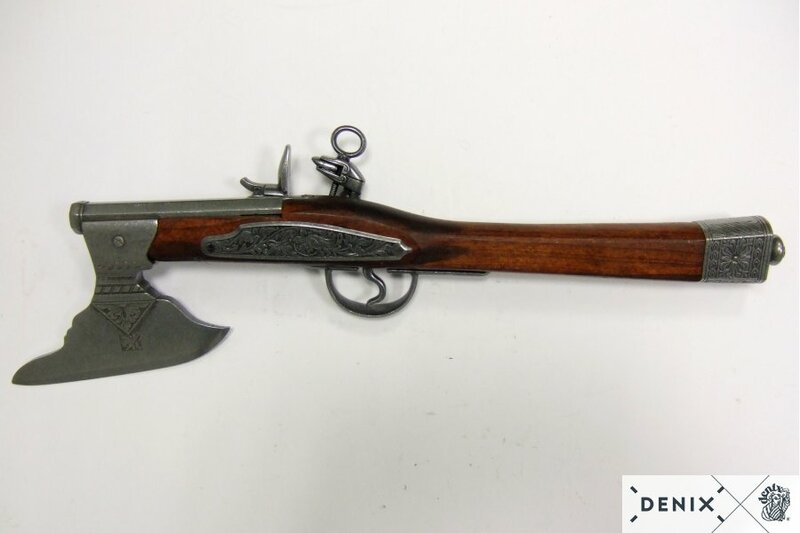 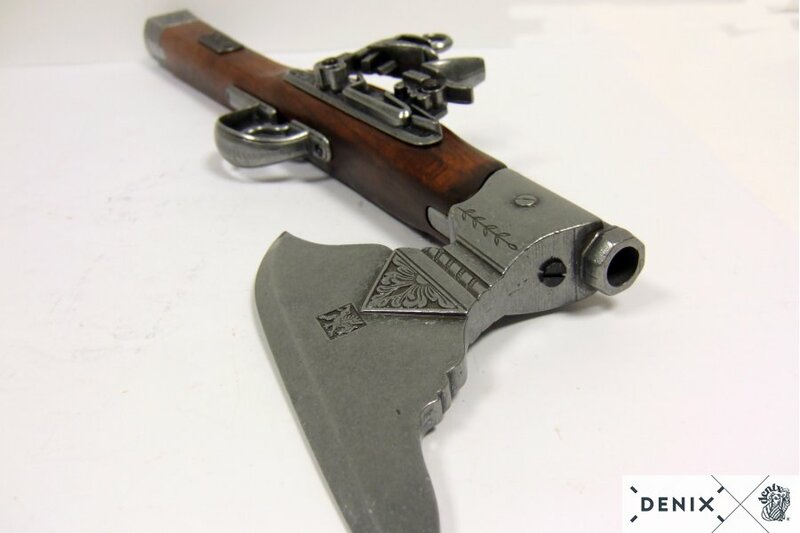 Reproduction of flintlock pistol with axe, made in wood and metal with simulating mechanism of loading and firing. 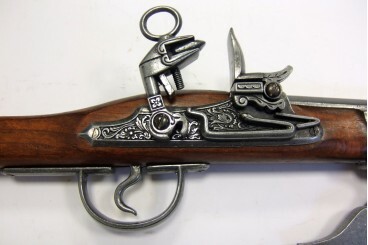 In combat, generally these weapons were used for a single shot, since the method of reloading was very slow and it was not usually time to recharge. 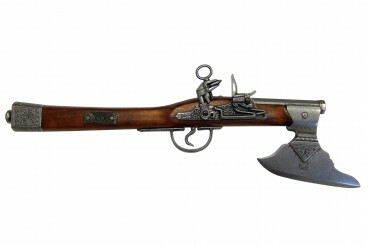 Therefore the fighters after shooting were forced to draw their sabers or swords or to use the axe of the pistol if they could not recharge it in time.